That’s how presenter Ken Frances introduced his interview with Tom Fish on The Bridge Radio on Friday 21st Feb. It was a good joke, but we didn’t choose the name just so Ken could make it. The name Rufford, and the making of bricks, are central to the history of this area. 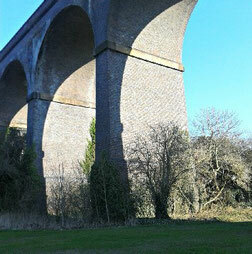 In the 19th century the Rufford family owned claypits and a major firebrick works near the viaduct. The works stretched from the river, where there was a basin for boats, all the way across New Farm to Grange Road. And over on Grange Lane there was another brickworks. The clay was also dug locally. There was a clay pit between Lewis Road and Bredon Avenue, which was then used as a tip before being converted to the green space it is today. And the green on Malvern Avenue is where there was once a marl hole. 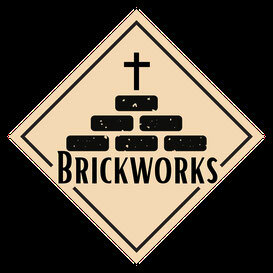 One brickworks alone employed over 1,000 people, many of them women. And it wasn’t just workers’ wages that came back into the local economy. The land for St Mark’s church was donated by Mr Rufford, and he also gave a significant part of the money needed to build the church. garden in Lye, and some keen young readers on Bagley Street have found several since the first issue came out. But the name isn’t just about the past. Bricks are a great symbol for the future, as we work to build a new church community in this area. The Bible says that when people come to know Jesus, they are like living stones, living bricks, which are then built into a spiritual house that pleases God. The first Stambermill church was paid for by Rufford bricks – we hope the next one will be made up of living Rufford “bricks”.